Braving the scorching heat of the afternoon sun, street dance competition contingents prepared for the much-awaited performance they have painstakingly rehearsed for weeks. 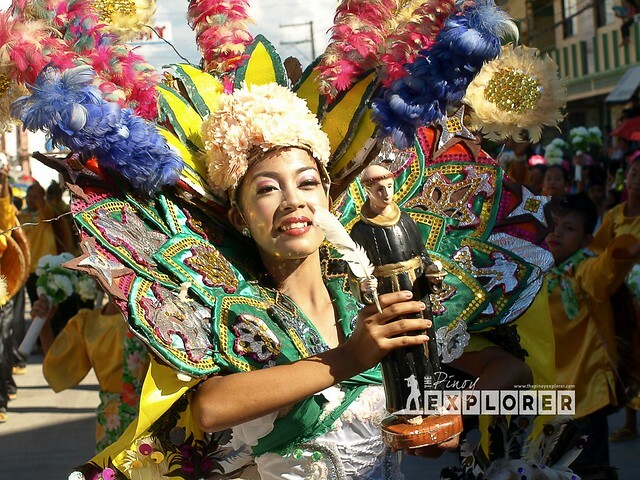 Along with their shiny and colorful costumes, they also wore their best smiles as they obliged for a pose. 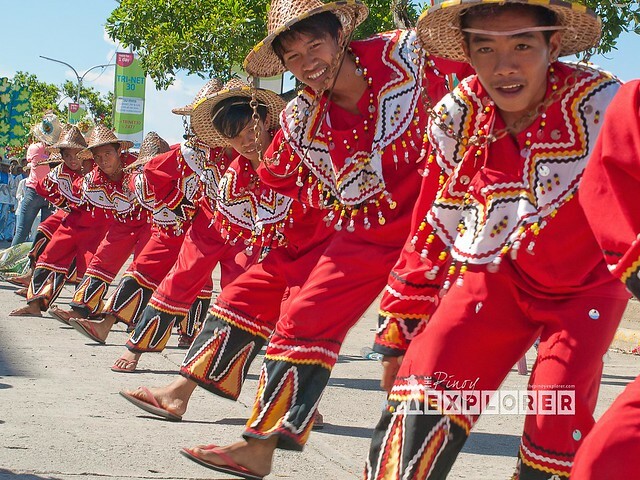 We scoured them along the boulevard while they waited for the street dance to start, until finally, they were all prepared to take that first step that will set the tone of the festivities of the Bonok-bonok Maradjaw Karadjaw Festival. 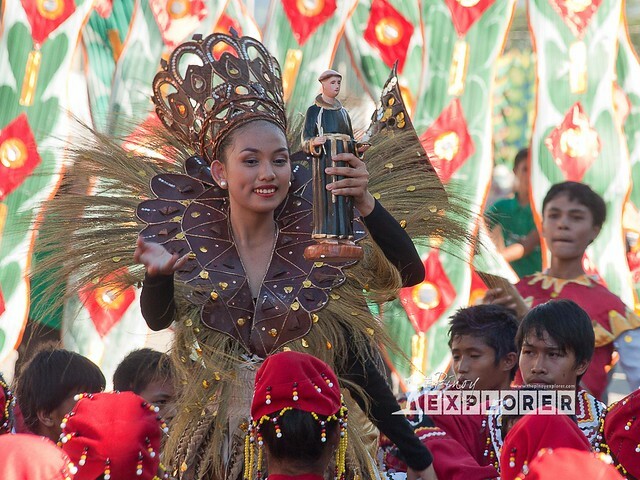 The festival is held every year in the honor of Señor San Nicolas de Tolentino, the city’s patron saint. All the merriment and joy-making is an expression of thanksgiving for the bountiful harvest, peace and good health, and at the same time, invoking the Almighty, through the intercession of Señor San Nicolas de Tolentino, for another year of very good harvest. 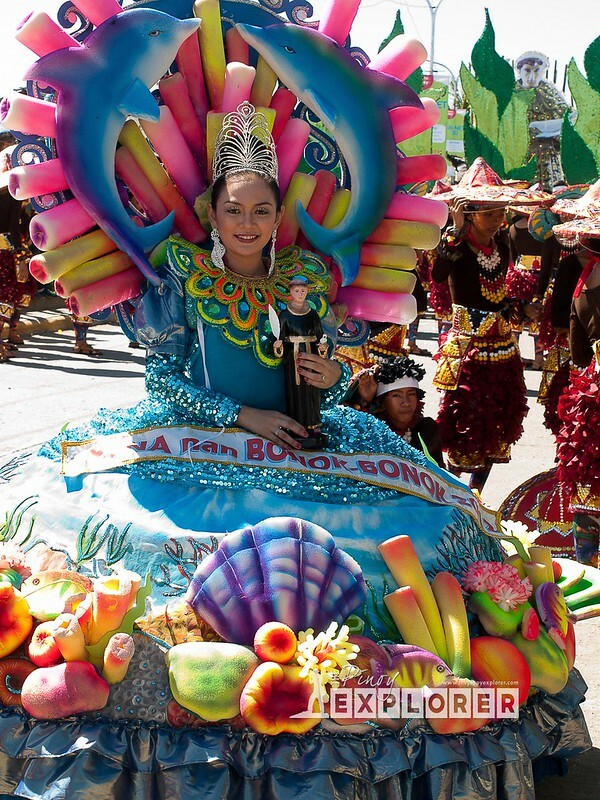 "Bonok-bonok" literally means "rain" while "maradjaw karadjaw" means very good--all taken into context, the festival's name means "Rain Showers, All the Very Best"--with rain as a symbol of blessing, good tidings, good harvest, and happiness among Surigaonons. 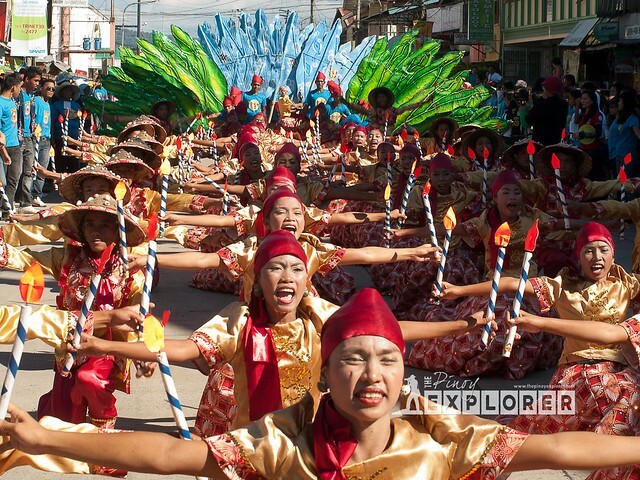 It is usually highlighted with high-spirited dancing and chanting in unison of "Viva Señor San Nicolas! Viva Maradjaw Karajaw!" Mamanwa performers. Women hold and wave "banay" or a piece of cloth as a symbol of goodwill, prosperity, and blessings. 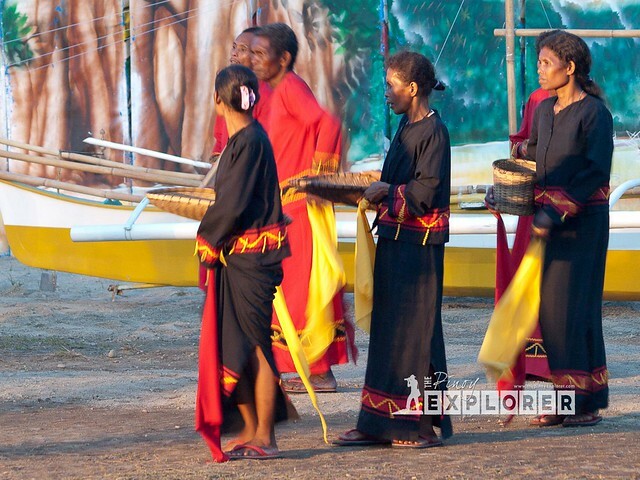 Bonok-bonok dance traces its origin with the celebration of the Mamanwa tribe, the natives of Surigao, which the tribal people perform during their thanksgiving, worship and wedding ceremonies. A "Baylan" or an indigenous priest officiating the celebration with a prayer to "Mambaya"
Sans the rain, which the festival is all about (which is actually great for photographers! ), experiencing Bonok-bonok Maradjaw Karadjaw Festival is truly a delightful experience. It appears to be just any other festival in town. 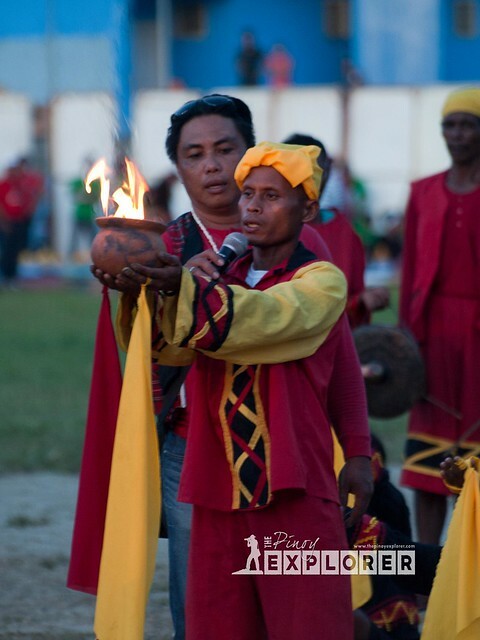 What makes one fully appreciate its uniqueness is the way the City gives credence and honor to age-old traditions of the indigenous settlers of Surigao and mainstreaming their culture to the modernizing society. 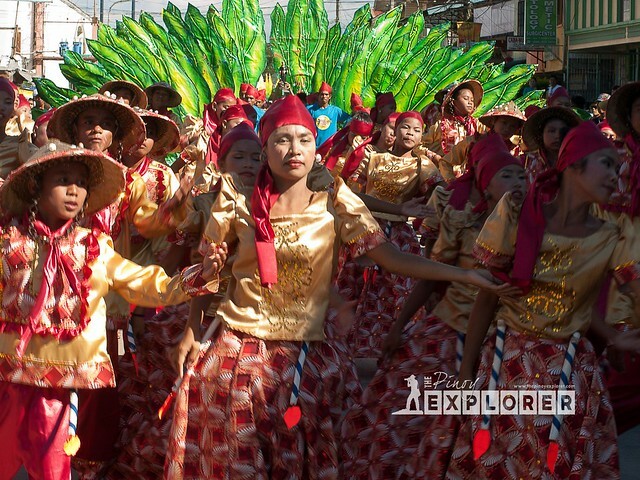 With all its pomp and pageantry, The Pinoy Explorer, however, hopes that the Festival and Surigao City would continue to uphold age-old traditions, culture and, heritage so that it would not, in the coming years, a mere token commemoration and honoring the indigenous peoples. Thank you, Surigao City for giving me this opportunity to walk in your streets and appreciate your city and people, your culture and tradition! Mr. Richard Nick Amores, the Festival Director, for giving us the "front-row seat" that allowed us to photograph the celebrations, and for personally bringing us the Photographer IDs. Daghang Salamat, sir! Ms. Nathalie Penados of Surigao City and of Here, there, wherever, a fellow Pinoy Travel Bloggers member based in Surigao City, who made our stay in her city a real good one! Till the next long gown competition! To bubbly Jeffrey Rilles of Traveling Morion, and Dennis Dolojan whose middle name is 'self-confidence' and who writes Love Mindanao -- thanks for the good company, laughter, and the failed photo-ops. And to the street dance contingents, who lent their lovely smiles and picture-perfect poses! Daghang Salamat, mga Dong at Inday! Your performance can already make it to Aliwan Fiesta! I hope to see you there next year! Thanks, jeffry, dennis, dupz, and nathalie! Galing ng kuha mo ding. Yan lang ang maganda pag nakapunta tayo sa isang lugar, instant PTB meet up and we gain more friends.....hope to see guyz soon. Thanks, Ricky! I hope to see more of Surigao soon! Daghang salamat Bonz! Indeed it was great meeting PTB members! Hi Ding. Too bad I missed the chance to travel with PTB! Was there just a couple of days before the festival. Oo nga Kara. HOpe to bump into you one of these days!